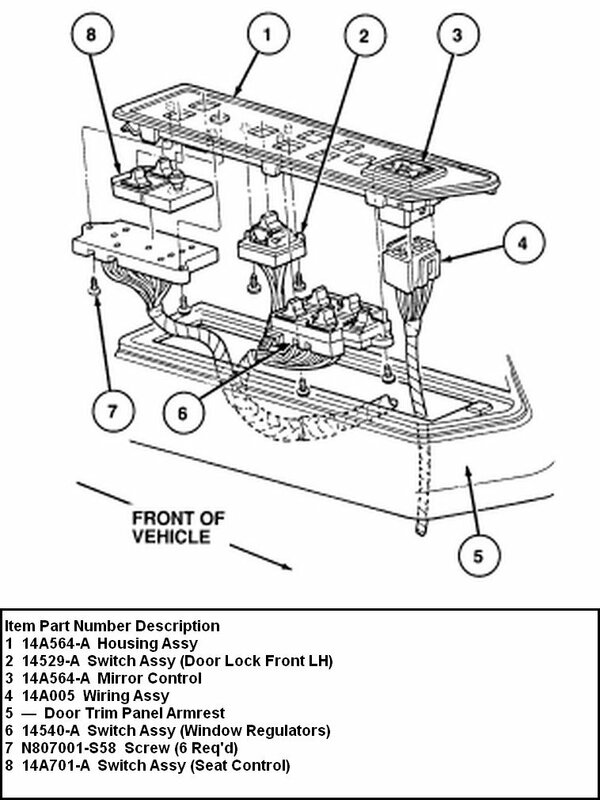 HowToRepairGuide.com: how to remove Mirror Switch on Lincoln town car? 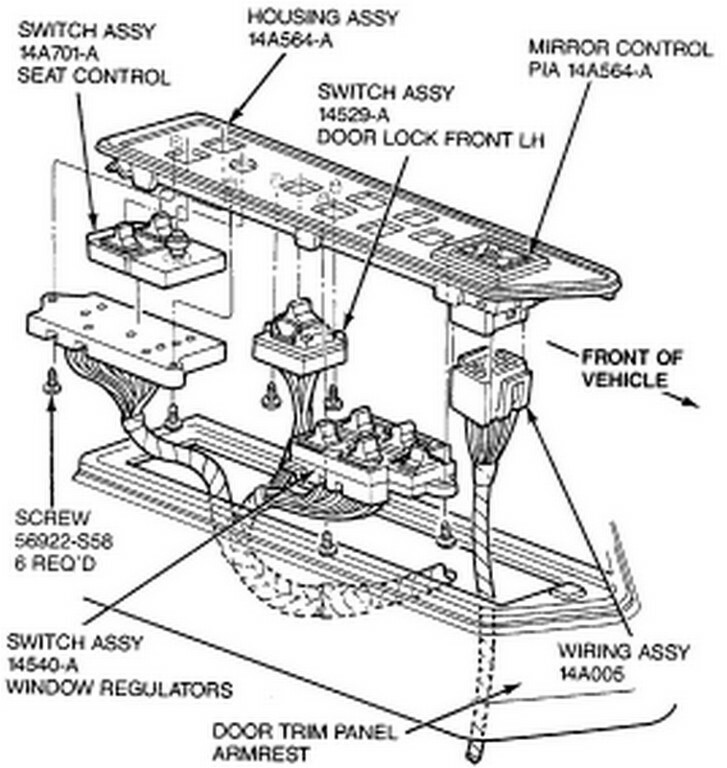 Lift bezel from armrest and disconnect electrical connector from switch. Push switch out of bezel. Using a putty knife or similar tool, pry trim panel retaining clips from door inner panel. Tilt panel away from door and disconnect switch connector. Remove panel. You will have to remove the door panel first, then you will have access to the screws which are mounted on the bottom side of the plate you are referring to, otherwise you may damage the switch panel.